Maya the Bee Movie is made by the collaboration of Australian and German cinematographers, which makes this beloved children’s film even more special to watch. Maya the bee, once again appears always ready to face and endure danger, and show everyone how brave she is. But, her big and good-natured heart does not allow her to see that sometimes the danger she is trying to avoid is right under her nose, but she can`t see that because of her credulity. It is very interesting the way Maya sees the world. This is what little children must see, with the eyes of a beautiful Maya, who wants everyone around her to be happy and to cheer for each other. However, she does not forget to bring a little adventure to her life, that can make her the hero, she longs to be. It all would not be possible if not for the beautiful performance of the actors, who so convincingly voice these beloved characters. 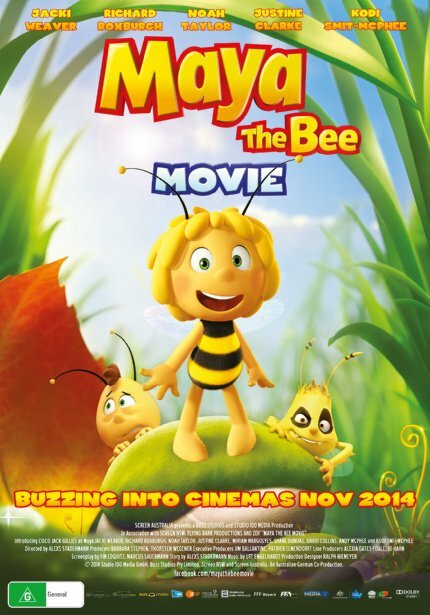 Maya the Bee Movie is something every kid must see. It`s a very kind, simple, kids-oriented film, especially for the very young. This is why, during the Toronto Kids International Film Festival, you should take your little one to watch how Maya who conquers the hearts of all her fans. Maya might be one of those most famous characters, but this is the first I’ve heard of her, or her movie.